According to the calendar, the first day of Spring came on March 20, 2015, but we have a feeling that Winter is not quite done with us yet! Here are three favorite recipes from some of our farm staff to warm you from the inside while we wait for the weather to warm us up on the outside! 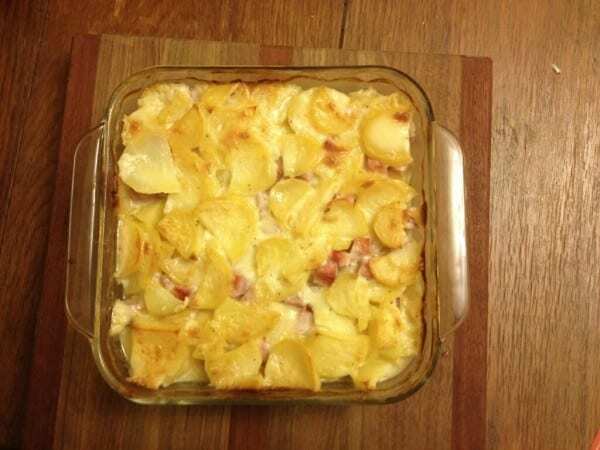 The Schuster family favorite is a scalloped potato and ham recipe that originally came from the Betty Crocker Cookbook. The recipe can be made with the original wheat flour, but Theresa makes a gluten-free version with rice flour. Wash and peel potatoes. Cut into thin slices to measure about 4 cups. Heat 3 T butter in saucepan over low heat until melted. Stir in flour, salt and pepper. Cook over low heat, stirring constantly, until mixture is smooth and bubbly; remove from heat. stir in milk. Heat to boiling, stirring constantly. Boil and stir 1 minute. Arrange potatoes in greased 2-quart casserole in 3 layers, topping each of the firt 2 layers with 1/2 of the onion & ham and 1/3 of the white sauce. Top with remaining potatoes and sauce. Cover and bake in 350 degrees oven for 30 minutes. Uncover and bake until potatoes are tender, 60-70 minutes longer (if getting too brown reduce heat to 325 degrees). Let stand 5 to 10 minutes before serving. 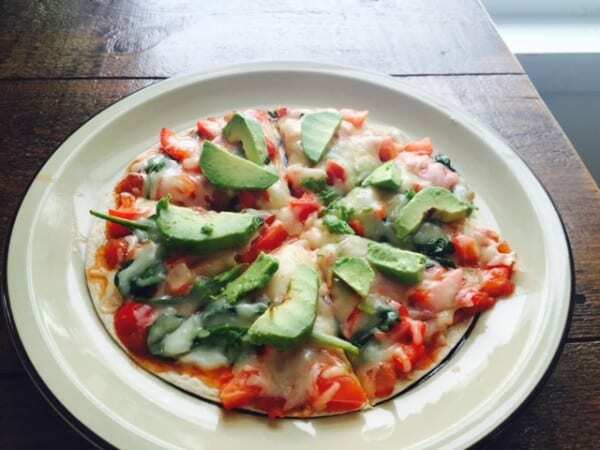 Ashley is the farm Secretary, and she sent us her favorite recipe for Mexican Pizza. Preheat oven to 425 degrees. Spray pan with non-stick spray. Over medium heat, cook bell pepper, green chiles and spinach until spinach is wilted. Spread salsa on tortilla and top with spinach mixture. Sprinkle cheese and bake until cheese melts. Top with avocado slices. Our next recipe is from MaryJane, the farm’s Master Gardener. She sent us her mother’s Baked Potato Soup. In a large soup kettle or dutch oven, melt butter and stir in flour. Heat and stir until smooth. Gradually add all milk stirring constantly. Reduce heat and simmer for 10 minutes. Add remaining ingredients, and stir until cheese is melted. Serve immediately. Yields 2 ½ quarts or 8-10 servings. Next post: Thoughts from one of our teen workers…. Previous post: Would you eat a cow pie?